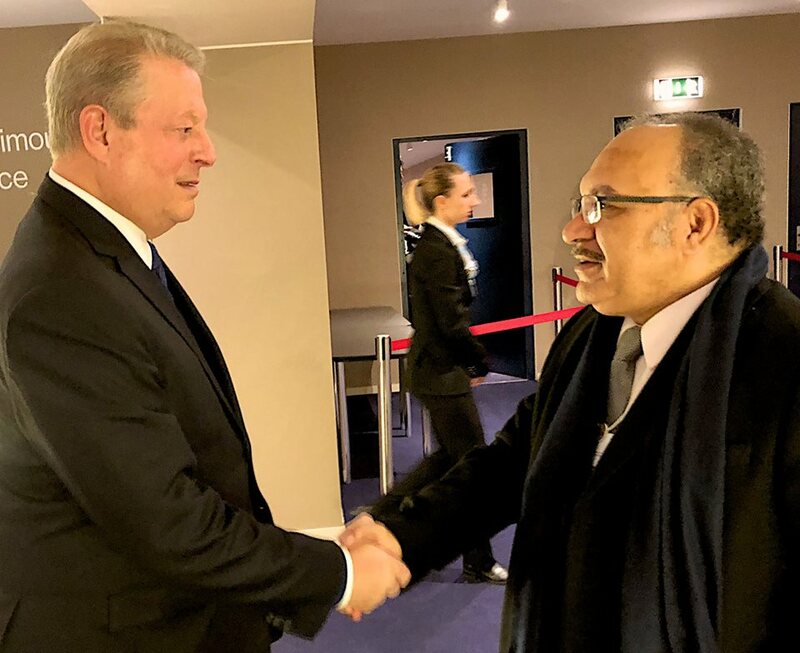 Papua New Guinea Prime Minister, Peter O’Neill will continue to advance critical development issues, including response to climate change and access to development support, when he speaks at the World Economic Forum (WEF) tomorrow. As the first Papua New Guinea Prime Minister, and first Pacific Islands Leader, to be invited to the forum, and as Chair of APEC in 2018, PM O’Neill said he will voice regional concerns. 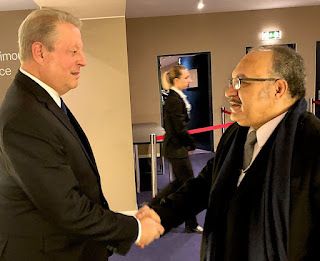 “The interests of Papua New Guineans and Pacific Islanders must be represented to the global community, and that is our job at the World Economic Forum,” the Prime Minister said as meetings begin in Switzerland. “Dealing with environmental risks is one of the most critical issues for Pacific and APEC economies. Extreme weather, including droughts and tropical storms, are killing our people and destroying livelihoods, so positive action must be taken in the global community. “Developing countries are most threatened by climate change, so we need to keep building our defences, and for this we need more from the global community. The Prime Minister said accessing capital and investment for a broad range of development and infrastructure building initiatives is critical for regional advancement. “Development partners have resources available to invest in critical projects, but they need strong commitment to prepare quality projects. “No partner or development agency will throw money away, they will invest in quality projects, the days of waste are long gone. “Developing country governments have to have demonstrate real need, have articulated plans and account for funds. “Recipient countries know their people, know their needs and know how to deliver locally, and we must work better together with partners. The World Economic Forum in Davos, Switzerland, brings together world leaders, senior business executives and representatives of non-government organisations each year to address issues of globalisation, inclusion and economic growth.